What's inside each fragrant bath fizzer? Girls and boys will wait for the end of the fizzle, to find their toy surprise! 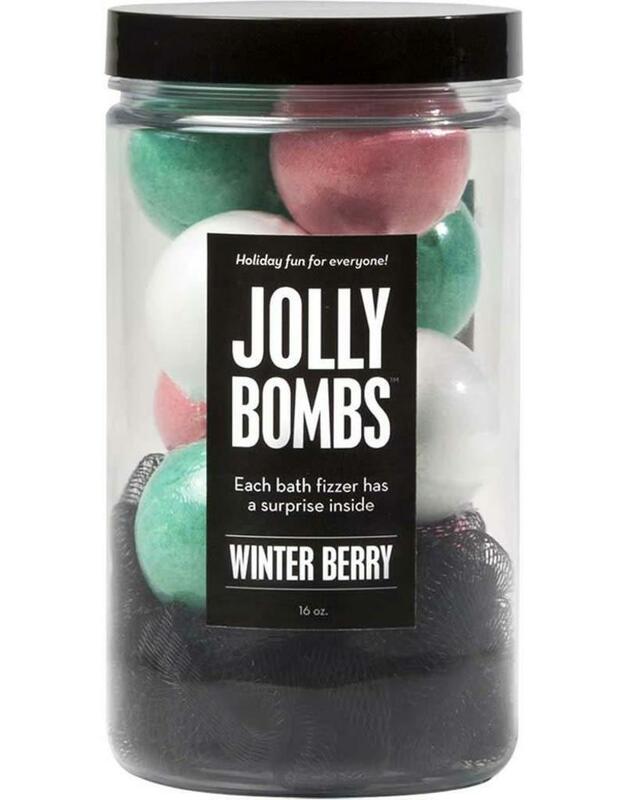 Each jar contains 8 balls of winter-berry fragrance and one loofah.